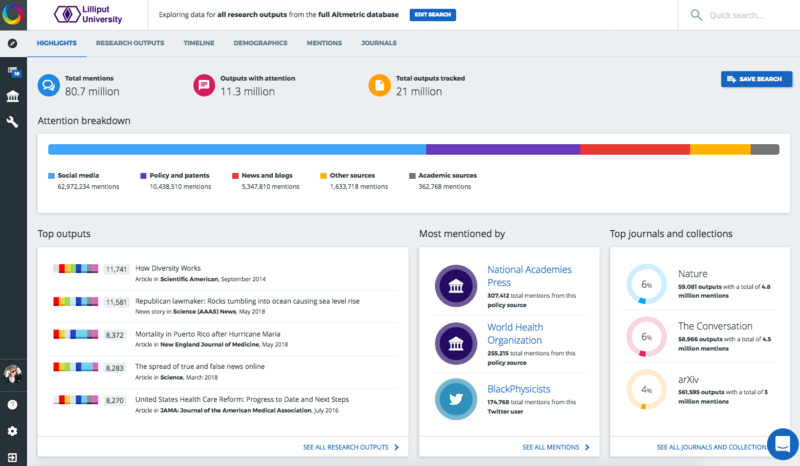 20 June 2018, London, UK and Boston, MA — Data science company Altmetric has announced a new Altmetric Explorer feature, Highlights, and other useful interface enhancements that will make it easier and quicker for publishers, institutions, funders and researchers to track research influence as it happens. Users can also save custom search queries for any group of research outputs, summaries of which appear in the Highlights tab immediately upon login. Other aspects of the Explorer redesign put all of Altmetric’s powerful data analysis tools at the user’s fingertips, including geographic and temporal visualization modules, a journal metrics comparison dashboard, and mention search and export features. The Altmetric Explorer redesign and Highlights tab are available now to customers. More information about Altmetric Explorer can be found on the Altmetric website, and in our upcoming June 28 webinar – register today!